WI vs Eng 1st test of England tour of West Indies 2019 has been played in Oval Bridgetown Barbados from 23 to 27 Jan 2019. West Indies played well innings but England performed just opposite to his reputation. Hi friends, I'm Gyan Ranjan. Get a detailed description, full scorecard and live cricket score of this Wes Indies vs England 1st test to know everything. This WI vs Eng 1st test 2019 of England tour of West Indies 2019 has become a one-sided match. Kraigg Brathwaite, John Campbell, Shai Hope(wk), Darren Bravo, Roston Chase, Shimran Hetmyer, Shane Dowrich, Jason Holder(c), Kemar Roach, Shannon Gabriel, Alzarri Joseph. 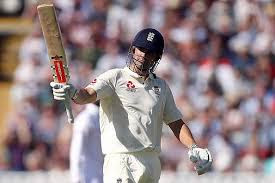 Keaton Jennings, Rory Burns, Jonny Bairstow, Joe Root(c), Ben Stocks, Jos Buttler, Moeen Ali, Ben Foakes(wk), Sam Curren, Adil Rashid, James Anderson. There are so many crickets series have been played in this season. Such as India tour of New Zealand, Sri Lanka tour of Australia, Pakistan tour of South Africa and this England tour of Wes Indies 2019. All the teams are preparing them for Cricket World Cup 2019. In this Wes Indies vs England 1st test, West Indies played very well as compared to his previous series. But England failed to perform well in this WI vs Eng 1st test 2019. Wes Indies scored 289/10 in the 1st inning with the help of the great innings of Shimran Hetmyer 81, Shai Hope 57 and Roston Chase's 54 runs. John Campbell 44 and Brathwaite supported with 40 runs. James Anderson 5 Ben Stocks 4 and Moeen Ali got 1 wicket in the 1st inning of West Indies. The batsmen of England totally failed in the 1st inning. Team all-out at only 77 runs in his 1st inning. Only four players scored in double-figure but below 20 runs. Kemar Roach got 5 wickets in this inning of WI vs Eng 1st test. West Indies again played well in his 2nd inning and declared at 415/6. Jason Holder played the best inning of double-century. He scored 202 runs with a good strick rate of 88.21. He smashed 23 boundaries and 8 sixes in his inning of double-century. Shane Dowrich also played an inning of 116 runs. Moeen Ali 3, Ben Stocks 2 and Sam Curran got 1 wicket in the 2nd inning of West Indies. The performance of the West Indies players in WI vs Eng 1st test shows his power in the test cricket. England is struggling in his 2nd inning to draw this 1st test Eng vs WI. England could score 179/3 until the 2nd session of the 4th-day match. Rory Burns played a good inning of 84 runs in this inning. England all-out at 246 runs and lost the match by 381 runs.